NLP is a deeply complex technology with growing numbers of students discovering it as part of their IT and technology courses. For business, it is fast becoming a practical part of the tech toolbox to deliver machine learning tools, powering chatbots, helping write summary articles and filtering spam or social media messages. This article provides all you need to know about the technology and how it can provide practical business benefits. Natural language processing is a centuries-old dream brought to life by advances in raw computing power. Last century, the concept of mechanical, then artificial intelligence came closer, and in the 1950s and Alan Turing’s concept of the Turing Test challenged machine designers’ digital creations to hold realistic conversations, a holy grail of computing. Since then, the rise of densely-packed transistors, silicon chips, low-cost memory and storage, and the endless scale offered by the cloud have given computers the power and ability to interpret, understand and translate our languages. But, while Turing might have dreamt of towering machines speaking in robotic voices holding deep conversations, the reality of the business landscape for AI and NLP is a fast-changing and fluid opportunity of small boxes and fast chat. Natural Language Processing, NLP, is a type of artificial intelligence in language programming. It enables software to analyze, understand and produce human language through bridging the gap between human and computer language. It seeks to understand not only the information but also the intention of the input. An NLP function can be built in various ways depending on how you intend to implement it. People talk to their smartphones and smart home technology. Chatbots pop up on websites, social media and messenger apps in huge numbers, and behind many of them is a growing sentience in the form of AI and NLP. Natural language processing uses artificial intelligence and linguistics to process any language-based data from scanned-in forms, phone call recordings, live chat and much more. Even as you were impressed by that first chatbot interaction, perhaps with a health service, airline or brand, remember that we are still in the early years of chatbots. With text-to-speech and speech-to-text services, bots can deliver results on a wide range of platforms. There is a great deal to do before society generally accepts and embraces this automated technology. But the early signs are positive as chatbot growth booms and people get used to dealing with digital avatars. And, there’s a lot more power on the way in the form of neural processors to create smarter, wider, more useful conversations. There are many applications that can benefit from the use of NLP. For now, they solve a range of short-term problems. At its simplest, natural language processing can look for key words in a chat or text stream and highlight them. Most bots look for an entity (a thing) and/or intent (an action) which can be buried in a stream of text. This could be “checkup” sending people straight to a booking service, “Adidas” directing a customer to the latest sportswear or “book tickets to the new Star Wars movie” (intent and entity). As businesses start to look for deeper meaning, they can try to gauge people’s mood or intentions and try to be more reactive. The current state of technology might be a bit hit or miss. Many sports teams and events provide simple bots that sell tickets or merchandise, but they help fans keep in the loop. But, for example, a recently publicised example saw WestJet’s chatbot note the word ”cutting” in a conversation and inadvertently directed the perfectly happy customer to a suicide help line. However, as chatbots are trained better and gain deeper understanding they will look for other clues in a conversation before making such leaps. In wider use, wouldn’t it be great to read an instruction manual that wasn’t translated by Chinese workers who’s colloquial English experience was a few episodes of Downton Abbey and Sherlock, both popular shows in Asia. Natural language processing does a better job at converting the complex meaning of complex language using machine learning and deep databases of phrases to provide an accurate translation. These simple examples are the tips of the iceberg when it comes to business use, and any company can deploy NLP in their chatbot as a feature of most available services. 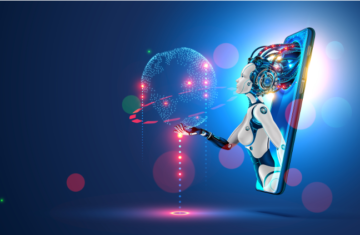 With chatbots poised to save business an estimated $11 billion in five years time, reducing customer service costs, understanding the technology now and deploying it can help any business. Beyond bots, NLP helps keep the spam mail out of your inbox, it helps provide sports reports with no human intervention and provide many other services. As client, customer, patient numbers grow, bots will be incredibly useful in dealing with the basic queries of any operation, and we could soon see bots talking to each other to take and create orders or make reservations as people get used to AI-supported services managing their lives. As NLP adoption grows and providers offer a broader range of services, the technology is used to study and locate relationships between words and breaking sentences into its component parts. This allows the bot to appreciate the meaning of longer chat phrases, while most existing bots focus on short, sharp, five words or fewer messages. Platforms offer AI-based or human supervised Machine Learning to help the bots understand, Some bots are pre-trained out of the box to look for phrases that might relate to a specific market, such as air travel or automotive parts. Soon bots will help people understand political issues, make medical or financial decisions and encourage engagement in new ways. Further learning can provide solutions to sentences that cause the bot problems, or to handle unexpected language, such as whatever the teenage speak of the day happens to be. 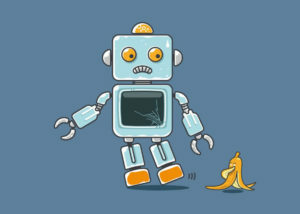 Machine Learning cycles improve how bots perform, and smart bots can make suggestions about what answer would provide the best solution. Natural Language Understanding is a part of NLP that will become critical to better bots. By being able to identify sentence boundaries, extracting relationships, and using its own systems to search your data banks or documents for meaningful content, NLP systems can provide more useful information to the user. They also continue to learn about what people are asking for, to improve its performance and service usefulness. As bots and virtual assistants understand deeper conversations, they can do more for us. The barrage of commands such as “Turn off the lights, order more milk and lasagne, tell Bob to do his homework and set a reminder for 4PM” can invoke a range of different services, sending messages every which way, and users would expect all of them to be handled accurately. To pass the Turning Test is more of an aspirational goal for developers than a real need for users. However, as bots become more realistic, like Google’s controversial AI assistant, they are using Natural Language Generation to talk to us as other people would. By making their language realistic, bots can help us feel more at ease, and add quirks or tics and pauses in phrasing to improve the realism. Uses here would include job interviews with AI bots that are an improvement on current scripted interviews to weed out early candidates. In the creative world, NLG would also allow game developers to have characters talk realistically without having actors having to record pages of lines. Films could also feature totally artificial characters with no need to hire voice actors. Adverts could also be created on the fly to appeal directly to one user, using mannerisms, language and context that makes marketing more individual. Asia is leading the way in bot adoption with its billions of natives rapidly becoming part of a digital-first economy. For example, Xiaoi, offers conversational AI to over 500 million Chinese users and has handled 100 billion conversations across financial, automotive, telecomms, ecommerce and other industries. All of this provides a business-level approach to how NLP can work in a business, but to understand how it really works requires a little in-depth explanation in terms of AI and linguistics. At NLP’s heart are a set of algorithms which work on the data you or users provide to extract meaning. These algorithms come in a range of flavours, they can be open source, such as Apache OpenNLP, Mallet and others, ideal for a company that wants to build its own service. Or, enterprises like Microsoft and Amazon build their own to bespoke requirements, bake them into products that customers can use. They might be based on rules that you can create, or are based on statistics and data. Each one may offer a range of different features. Tokenizers help break sentences down in pieces, speech taggers can locate specific elements and assign them values while entity extraction, chunking, parsing, coreference resolution, and other features are all part of the package of a modern NLP system. Open source NLPs allow users to see what’s going on inside, and make their own adjustments. While proprietary models are black boxes that you send your data into, results come out and you might not be able to understand why. This may have issues for businesses with legal or regulatory aspects in a conversation. Inside each NLP is the core code, often based on a Bernoulli Naive Bayes classifier algorithm, or perhaps a multinomial or binomial equivalent. They perform slightly different tasks, depending on the complexity of the data set but, basically, count and classify words across huge sets of data. 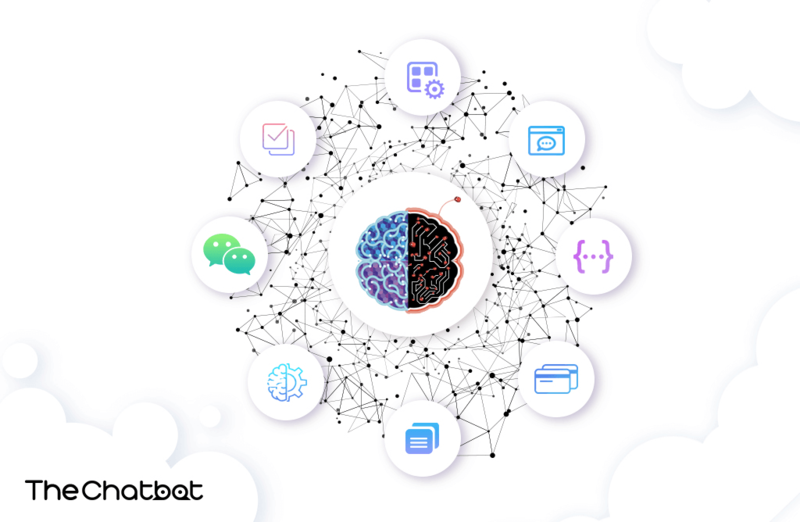 An NLP is nothing without training data, and large data sets are required to train chatbots that will be used in intense environments, imagine a business fielding thousands of chats simultaneously. Again, these can be created in-house, use a readily available library, or outsourcing training to a company that might use automated or manual testing, or both. In reality, a company can use a chatbot service and not care one iota about the inside technology. However, as AIs and bots get smarter, the detail will start to count, and an understanding of the complexities will benefit any business looking to launch a product. Verizon’s recent bot launch is a masterclass of high-level training to help create an enterprise success story. With many NLP vendors, chatbot providers and AI services on the market, there is a huge choice. Vendors need to clearly highlight what their products are capable of, addressing particular markets and providing real-world demos of capabilities, not promises about possible features. Offering rapid testing and demos will be essential to allow fast adoption. Buyers can then examine their own use cases, test out a range of services and pick the one that best meets their needs. Buyers expect AI and other services to be available on and adaptable to a wide range of services, with chatbots that can talk, and AI assistants that can accept typed commands (during quiet times for example). While most business bots are focused on practical results today, dealing with customer support, sales and brand building. We are starting to see more impressive examples that highlight the near future, with bots that can hold proper conversations, engage in emotional conversations, that can multitask and support our wider digital footprints. These are the bots that every business and profession will be using in near future, and benefiting from the savings and smarter services they can offer. Does Your Chatbot Need NLP? 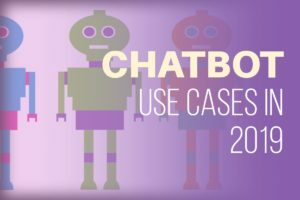 Chatbots have gained significance in the modern world of business. Typically, they are being used as scripted logical conversations where the output is already determined. The introduction of NLP, however, has given developers the opportunity to create better chatbot conversations. NLP has become more popular especially because of its ability to empower bots with personality. The integration of NLP into chatbots adds a human touch to virtual communication. A business will often address their frequently asked questions or inquiries through a chatbot for public use. As is often the case with human experiences, clients will sometimes try to confuse and derail the chatbot by asking irrelevant questions. Organizations try to solve this problem through the addition of default responses. This sometimes fails because it is difficult to predict which questions users will ask or how they will ask them. This is one case in which NLP goes a long way towards delivering successful outcomes to the conversation. And a very typical use case would be to see NLP models being applied that detected frustration or negative feelings by a user, in which case the chatbot offers to pass the conversation to a human. NLP is essential in situations where a narrow script is insufficient for the organization’s needs. What the organisation has to decided is the nature of the conversations the chatbot will be engaged in: will they be highly conversational? What format will the chats take? Will it be a question-answer style of conversation? When following pre-determined branches is not enough, then its the NLP model which allows the chatbot to select from all the bot’s interactions and jump across to the appropriate one. The American based food chain company boasts of over 14,000 branches across the globe. It has employed at least 250,000 with the current income generation being about $56 million. The company uses its AnyWare application to cater for the customer’s diverse needs. WithAnyWare, clients can make orders for various deliveries using platforms such as Amazon Echo or Google Home. The company developed a chatbot on Facebook’s Messenger which allows clients to send orders to Domino. Here, the NLP function enables users to track their past orders. It sends clients links which they click on to check on their current orders. RDA serves 225 destinations recording annual revenue of approximately €5.8 billion. The company developed KLM BlueBot (BB) to help clients to book tickets. KLM’s bot program uses NLP to understand the intention to book and or otherwise responds according to a different customer enquiry. The NLP also detects queries such as updates on booking status and check-in reminders. BB on Facebook enables the company to actively engage more than 16,000 customers every week on its platform. KLM can now handle vast volumes of requests from its clients within the shortest time possible using BB chatbot function. It has incorporated BlueBot in all Google Assistant devices to increase the efficiency of the program. Sephora is a French company that specializes in make-up and skin care products for both men and women. It serves around 33 countries with more than 2,300 branches. It developed Sephora Reservation Assistant chatbot that uses NLP to interact with clients.The chatbot offers visitors tutorials on their makeups, clips and videos and reviews orratings on their products as they shop online. Clients use Sephora Color Match through Facebook Messenger to access different colors of beauty products from the company’s online store. H&M is a fashion company that uses its chatbot to ask clients about their preferred styles and fashions. Using NLP, the bot recommends the clothes that are tailored to meet the customer needs. Customers also get better services as the chatbot allows them to share a sample of clothing they would like to buy. The bot searches through H&M’S catalogue and gives feedback on the availability of the product. Customers conveniently make orders using the chatbot and get directions on the delivery procedures. NLP is an essential tool that businesses and developers are using to overcome the shortcomings of chatbots. It is being used to bridge the gap that exists between human communication and computers. While chatbots seek to streamline communication, NLP makes the process successful through adding intention to the meaning. This makes it possible to give relevant feedback to the inquiry requests that clients make. NLP and chatbots are two inseparable AI tools in the modern business world. Jussy Jussy is an IT specialist and holds a Masters in communication. She writes to open the blind eye.